Dr. Niv Ad is the chief of Cardiac Surgery at the Inova Heart and Vascular Institute at Falls Church, Virginia. He specializes in Adult Cardiac Surgery. He is a member of American Association for Thoracic Surgery, International Society of Minimally Invasive Cardiac Surgery, Society of Thoracic Surgeons and World Heart Foundation. His main interests are focused on minimally invasive surgical approaches especially in the fields of atrial fibrillation and valve surgery. He is also involved with a very active cardiovascular research program. At Inova he developed a unique Atrial Fibrillation Surgery Registry design to follow-up patients following surgical ablation for life. He has significant number of publications in the field of the surgical treatment of atrial fibrillation which describes his experience with hundreds of surgical procedures. Prof. Dr. Nicolas Doll is medical director and head of the department of cardiac surgery at the Sana Hospital for Heartsurgery Stuttgart, Germany. He underwent his cardiothoracic surgical training at the Albertinen Hospital in Hamburg and at the Heartcenter of the University in Leipzig. He has broad clinical and scientific experience in the treatment of atrial fibrillation including multiple clinical and experimental studies. He performed several experimental animal studies on atrial fibrillation using different energy sources and evaluated the collateral damage. Dr. Doll focused on minimally invasive approaches for the treatement of atrial fibrillation as a stand alone procedure or in combination with other cardiac surgical interventions. Dr. Atul Verma is an electrophysiologist in Southlake Regional Health Center, Canada. He has specialized in treating irregular heart rhythms. He had successfully implanted a wireless defibrillator for the first time in Canada that allows specialized health care professionals to monitor his condition and the lifesaving device remotely. He has published a number of articles on Electrophysiology. Dr. Mithilesh Das is the Associate Professor of Clinical Medicine in the Indiana University. He is also the chief of cardiac arrhythmia service at the Roudebush VA Medical Center, Indianapolis. Dr. Das received his medical degree in internal medicine in Ranchi, India. He completed his residency in internal medicine at New York Methodist Hospital where is served as chief resident. Prior to his affiliation with Indiana University, Dr. Das was a fellow at New York Presbyterian Hospital at Cornell Medical Center, New York where he completed fellowships in cardiovascular disease and clinical cardiac electrophysiology. In 2002, Dr. Das joined the IU School of Medicine and the Krannert Institute of Cardiology where he is an assistant professor of clinical medicine. He also is chief of cardiac arrhythmia service at the Roudebush VA Medical Center, Indianapolis. His board specialties include internal medicine, cardiovascular disease and clinical cardiac electrophysiology. He has published a number of articles. Dr. Thoralf M. Sundt, MD. Thoralf M. Sundt is an Cardiac Surgeon in Mayo Clinic specializing in the treatment of acquired heart disease in the adult. He has focused particularly on the surgical treatment of atrial fibrillation (the Maze Procedure), pulmonary thromboendarterectomy for the treatment of chronic pulmonary thromboembolic disease, and repair of aneurysms of the aortic root, ascending aorta, aortic arch and descending thoracic aorta. He is currently Vice-Chair of Surgery at Mayo Clinic Rochester, the Secretary of American Association for Thoracic Surgery, and is the author of over 200 book chapters and manuscripts in the peer-reviewed literature. He completed his thoracic surgery residency in Medical University of South Carolina. He spent 10 years in practice in Milwaukee, opening two new heart surgery programs there before moving to Dallas in 1998 to become director of robotics at Medical City Dallas. He has traveled extensively lecturing on topics of: Beating heart surgery, surgical resynchronization, transmyocardial laser revascularization, and minimal access surgery for atrial fibrillation. He developed the "Dallas Lesion Set" which allows surgical treatment of AF on the full beating heart thorascopically. He has demonstrated surgical technique operating on 5 continents. He founded the Group Practice Forum and eventually transformed it into the Society of Thoracic Surgeons' Practice Management Council. Outside of medicine, he is a dedicated family man, avid motorcyclist, and teaches a life skills course. He is currently Co- Director of the Center for Innovation in Atrial Fibrillation at The Heart Hospital. 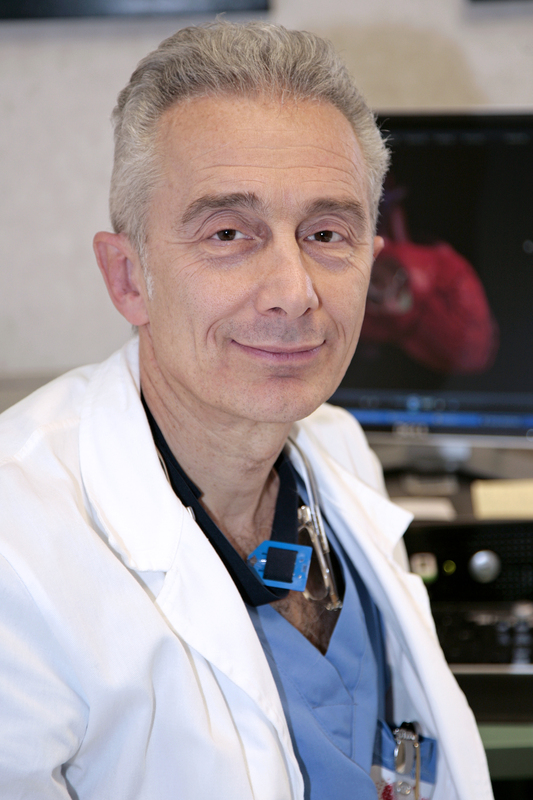 Dr. Yaariv Khaykin, has completed his electrophysiology training at The Cleveland Clinic. He is a Cardiac Electrophysiologist at Southlake Regional Health Centre, Canada, with expertise in Complex Mapping and Ablation for atrial fibrilation and ventricular tachycardia, device implantation including cardiac resynchronization therapy and other cardiac diagnostic and therapeutic services. He is expertise in the use of the CARTO system and CARTO 3 including V9 / Cartosound, ESI/Navex and Intracardiac Echocardiography. He has published multiple publications and given a number of presentations in the field of Cardiac Electrophysiology. He is specialized in Complex catheter mapping and ablation, pacemaker / defibrillator / CRT implantation, lead extraction. Dr. Sanjay Dixit is Assistant Professor, University of Pennsylvania School of Medicine and is the Director of Cardiac Electrophysiology Laboratories at the Philadelphia VA Medical Center. He specializes in Cardiac Electrophysiology. He practices at the Hospital of The University of Pennsylvania and the Philadelphia Veterans Affairs Medical Center. His research interest are in Mechanisms underlying initiation and maintenance of Atrial Fibrillation, Ablation strategies in treatment of Atrial Fibrillation, Localization of Idiopathic Ventricular Tachycardias and Characterizing substrate of Ventricular Tachycardia in patients with structural heart disease. He has published a number of articles in the field of Cardiac Electrophysiology.